Orgone energy is a term coined by psychoanalyst Wilhelm Reich for the "universal life energy" which he claimed to have discovered in published experiments in the late 1930s. Reich claimed that Orgone energy was a "life energy" which filled all space. Dr. Reich determined that stacking alternating layers of fibreglass (an organic substance) and steel wool (an inorganic substance) would actually attract and collect orgone/etheric energy of both the life-beneficial positive form (which Reich called "OR" or "POR") and harmful negative etheric energy ("deadly orgone" or "DOR"). Wilhelm Reich began to isolate and collect Orgone from Bion cultures, referring to the results of several laboratory experiments. These experiments showed that organic or non-metallic materials - such as cotton, wool or plastic (specific Resin's will also hold energy, like the type I use) - to attract, absorb and hold the energy. Metallic materials - such as Aluminium, Brass, Copper, Steel and Iron - attract energy and quickly reflect it in both directions. As a basis on these results, Reich began to construct small boxes with alternating layers of organic and metallic material, with the inner walls lined with metal. By looking through a specially designed lens was inserted in a wall of each box, there were observed orgone radiation from theatre within the enclosure. These "Orgone energy accumulators" also revealed an unexpected phenomenon: the existence of Orgone radiation inside the enclosure even without the presence of BION cultures . (hydrocarbon) and inorganic materials in alternating layers. He discovered that by placing organic materials such as plastic (Resin also falls under plastic as has absorbing qualities), soil, wood, cotton, etc. along with inorganic materials such as metal chips as an array Wilhelm Reich could attract and capture observations of the night sky as confirmed and verified the existence of Orgone energy in our atmosphere. This discovery of atmospheric Orgone was a major thrust forward in Reich's research. The Orgone Accumulator's organic layers attracted the atmospheric energy and directed it inward using metal layers. The energy is then reflected outwards through the metal layers and then immediately re-absorbed by the organic material, which attracts back to metal for pointing it towards the inside of the box. (This has been adapted within my devices to produce the same effect) The result was a higher concentration of Orgone energy inside the box. The more layers, (for pyramids and Orgonite its the size of the device) the stronger the concentration of energy. Dr. Wilhelm Reich's research into Orgone Accumulator positive characteristics are documented in describes and explains Dr. Reich talked about Orgone accumulator positive features in the 1930 - and 1940's and also discusses this in his book "The Cancer Biopathy"
Adding crystals intensify the process and allow you the opportunity to 'program' the crystal with your mind (emotional intent) to direct that energy towards a specific task or goal. Tensor Rings helps to put out scalar waves from the crystal when programming and meditate with an Orgone device. 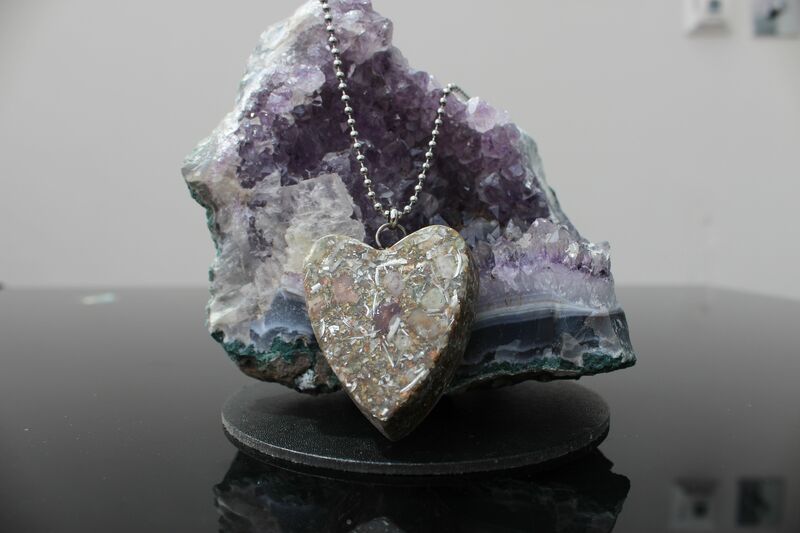 Many people have noticed positive emotional effects in the presence of Orgone Generators. Mood and emotions tend to lift. Some people who have trouble falling asleep report that can sleep better and calmer with an Orgone Generator in their bedroom. Many have also noticed that the plants grow vigorously in the vicinity of an Orgone Generator, today there Orgone Generators available to us in the form of Orgone Giza pyramids, these are designed to increase the vibration and attract cosmic it converts bad energy into positive, these pyramids contain crystals, these crystals carry itself on its own energy that is enhanced with the help of the pyramid. Tower Busters are useful and easy to place and is primarily used to transform negative energy known as DOR (dead energy) into positive Orgone energy they can be advantageously used in the home and workplace, place them on top of the television set and the electrical outlets to place them in the room all corners to convert the energy, place under the bed for better sleep. Orgone discs are designed in different sizes and purifies loads and converts the objects placed on it. Can clean everything from water and herbs to charge crystal jewellery health food needs. The tool has endless uses and has no limitations. All electrical apparatus emits this deadly Orgone radiation which produces discordant frequencies to the human brain. It causes electromagnetic stress. People will feel stressed, angry or shut down. Repeated exposure to deadly Orgone radiation causes dullness, lethargy, headaches, insomnia and eventually degenerative diseases. Cell phones and Wi Fi generates the most aggressive form of electromagnetic radiation known to man, they disturb the subtle and invisible brain waves. Reich was a true humanitarian who discovered how he could produce amazing healing benefits of their Orgone accumulators that he created. Reich's devices are used today in a hospital in Germany, where Orgone treatments are widely available. Wilhelm Reich created his own Orgone Energy Generating devices such as Orgone Accumulators and Orgone Cloud busters. My Photon Orgone devices work on the very same process of organic and non-organic materials exciting and attracting the life force energy (Orgone energy) out of the atmosphere as did Wilhelm Reich's devices. How Orgone Energy Works In My Words! Everything around us is made up of atoms and they can communicate within each other by sending electrons; this is done, for example in the same way as we communicate with each-other by talking we are basically atoms sending signals (electrons) to each other. All of the electrical devices such as Mobile (Cell) Phones, Routers, Laptop's, Computers, IPod’s send out electrons but they are not harmonised, this causes our system to become out of synchronisation causing us to become stressed, have more allergies, and put on weight and many other issues. Crystals, stones, soil and anything touching or from the earth possesses harmonised electrons this is why Photon Orgone use so many highly charged crystals and gemstones in the Orgone Devices. 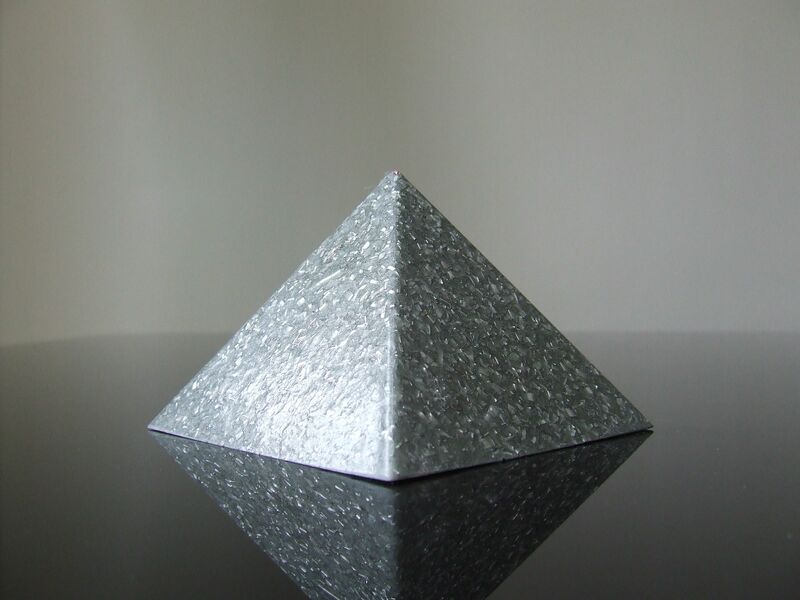 The metals within the polyester resin casing of the Orgonite attract the negative electrons it is then pushed through the crystals and then the negative electron (negative energy/radiation/emf’s) comes out harmonised. 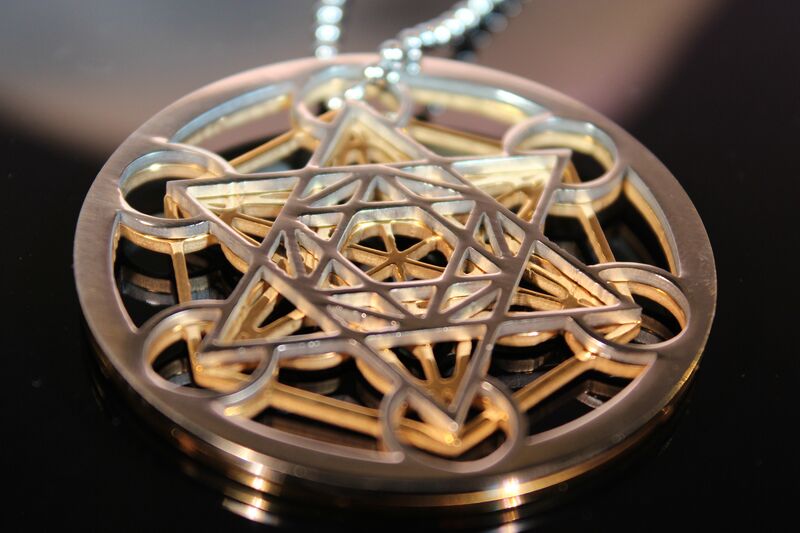 I have been studying the effects of sacred geometric shapes within Orgonite for the past 15 years and have come to the conclusion that the more sides, intricate shapes, perfect points and tips seem to give the device a greater power. Once these sacred shapes have been combined which my knowledge of Ancient Native American Indian Crystal Healing and Colour Therapy you will behold an amazing device.